In my quest to seek out new venues i’ve come across a nice new gay/lesbian bar which seems to be tucked away out of site, the bar? 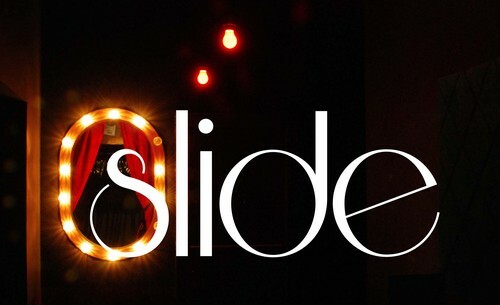 Well its called ‘Slide’ and is based on Ann’s Street, Belfast. Its a persian styled venue with table service on one floor and on another a small but comfortably sized dance floor, considering this is like a well kept secret size here really isnt important. The staff were extremly friendly and welcoming which is a plus point considering some of the other LGB venues in belfast tend to employ staff who dont exactly know how to smile. For those who cant find it, its above Little Wings Pizzeria, on Anns Street Belfast. At the moment I cant seem to find a web link for the bar/club but I’ll update this post when I do.